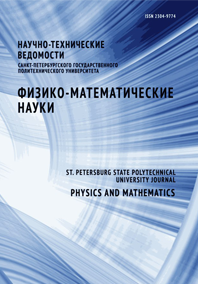 Khaiyrullin Andrey R. Rozhkova Natalia N. Gladchenko Svetlana V. Stepanova Tamara P.
The study of the specific static dielectric polarization of shungite carbon structural elements (‘cups’) was carried out in dilute solutions in benzene series of solvents. Dipole moments were calculated for the fragments of C60 fullerenes as models of the ‘cups’ (FC) in the temperature range of 25 to 60 о С. The FC dipole moments values obtained were 6.25 – 6.90 D, 5.2 – 5.6 D and 4.5 – 5.1 D in benzene, toluene и ortoxylene correspondingly. These values of dipole moment characterize a polarity of FC associats.